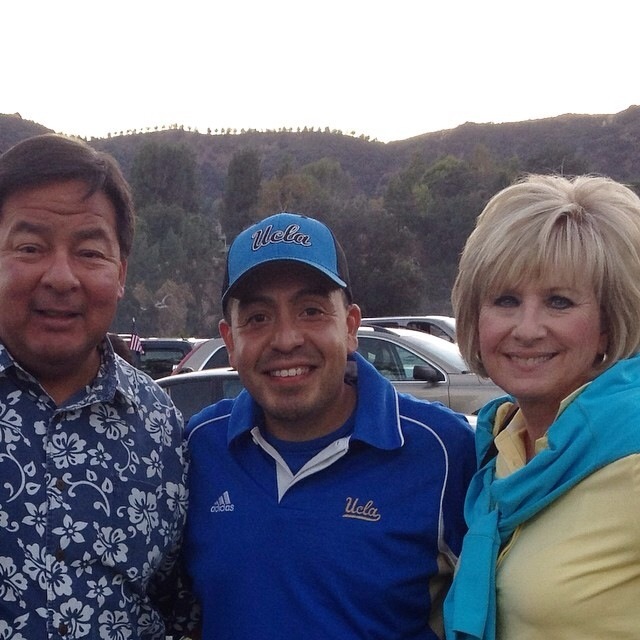 Over the weekend my husband and I went to the UCLA football game against Utah at the Rose Bowl. It was a warm sunny day and we walked towards the stadium, we heard a gentleman yell out, “Coach D”! We turned around and spotted a former student my husband taught in High School over 19 years ago. It was a lovely encounter, especially when the young man says that the Mr was his favorite teacher. My take away from this moment, was to tell friends, teachers, colleagues when something is important. Don’t wait, because you may not get another chance. This entry was posted in Authentic Self, Protocol and Etiquette, Tip of the Day and tagged high school, never hestitate, teachers make a difference, ucla. Bookmark the permalink.